Ever found a catalog piece that is the perfect price for your budget and the right size for your space, but also a little "meh" aesthetically? It happens to me all the time. While not every item in our home can be a show-stopper, there should be a few that are. What separates the standard piece of furniture from the special piece is just an extra detail. Today, I've gathered a few ideas that will disguise a catalog item's not-so-special provenance and will have your family and friends questioning where you found such a unique treasure. Want to transform a budget side table into a beacon of Art Deco glory? 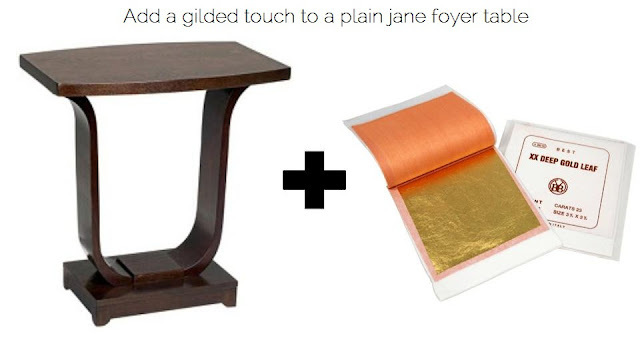 Why not introduce some gold hardware and gold legs to glamorize affordable West Elm cabinetry? How about infusing a neutral, feminine bench with a sophisticated print and color? 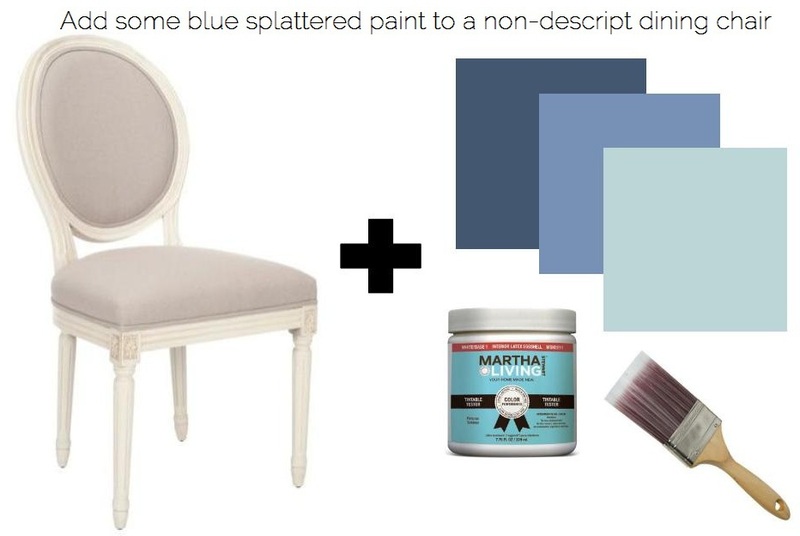 How about taking a timeless chair and pairing it with an unexpected DIY upholstery treatment? Why ignore the pleadings of this MDF parsons console to be covered in a chic linen fabric? With some easy to find additions to affordable pieces, your home will look custom and unlike any other. Would you consider making some of these additions in your space? Oh, I would! I actually did something similar with the Parson's console I got off of Craigslist except I covered it with grasscloth wallpaper. Same concept though. And I love that idea for the French chair. I actually have a very similar chair I got years ago from Wisteria. It's very lonely and blah. Maybe I should get to painting! Such great ideas! I want to do them all now- I think I need a crafting/DIY weekend! Happy Birthday, Ashley! Hope you got one of the things on your list!! Love your ideas for fixing up the "meh" pieces. So funny, it explains why I pinned some amazing styling on a meh West Elm piece very much like the one you featured the other day. What, no Lazy Boy in your house, Brooke Shields?